A durable power of attorney is a document signed by a person, referred to as the principal, who is appointing another person, known as an agent or attorney-in-fact, to sign documents or perform actions on the principal's behalf. A power of attorney is considered durable if it remains effective even after the principal becomes incompetent or unable to act for himself. This important document must be prepared in accordance with state law. A defective or incomplete power of attorney may be refused when presented for use. A durable power of attorney may be specific to a particular transaction, such as selling a specified vehicle, paying bills or depositing checks into an account. Alternatively, it may be general and apply to a wide range of transactions, allowing the agent to sell property, liquidate investments, sign legal documents or perform any other acts allowed by law. If a power of attorney is being used to sell or mortgage a home or other real property, whether general or specific, most state laws require that it be notarized. Many also require that the document be recorded in the land records. In California and Washington, for instance, a power of attorney does not require notarization. However, when used to convey real estate, California and Washington require notarization for this purpose. 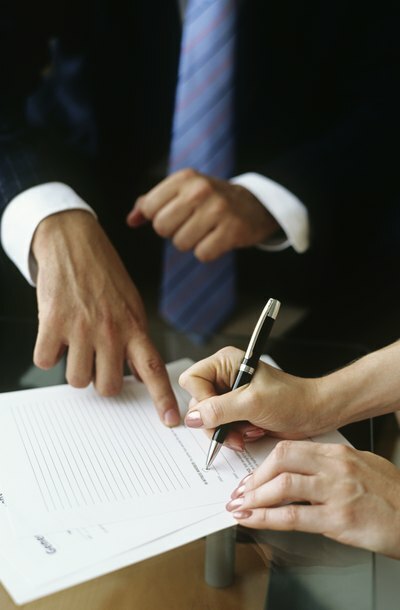 State laws vary as to what constitutes a legal in-state acknowledgment of a signature. In Maryland and Florida, for example, a power of attorney must contain the signatures of two witnesses in addition to being notarized. If the notary acknowledgment for a power of attorney is not properly worded according to the state laws where signed or being presented, the document may be refused as legally defective. Many states have passed the Uniform Power of Attorney Act, which allows a document executed in compliance with one state's laws to be accepted in states with different laws. Some states go so far as to hold those refusing to accept a valid and compliant power of attorney liable for damages. For example, Colorado does not require that a power of attorney be notarized, but state law declares that the document is presumed to be genuine if it is notarized. Only notarized powers of attorney are covered under the provision of the Uniform Act awarding damages for refusing to accept a power of attorney. A military power of attorney is generally governed by federal law, which determines who is authorized to notarize powers of attorney. States must accept a valid military power of attorney executed pursuant to 10 U.S.C. Section 1044 (a) without questioning its form or substance. This code prevents the refusal of a power of attorney simply because it doesn’t comply with the laws of a particular state where it is being presented. You may face circumstances that require you to perform legal acts, such as withdrawing money from a bank account or consenting to medical treatment, on behalf of another person, known as the principal, who cannot perform these acts himself due to disability or other adverse circumstance. A valid power of attorney will allow you to perform these acts as agent for the principal without legal liability. Hospitals and banks often offer standardized power of attorney forms that have been drafted in accordance with state law. Otherwise, you may draft the appropriate form yourself. A power of attorney grants someone else the power to perform legal acts for you, such as consenting to medical treatment or signing a contract in your name. Some states require the use of statutory forms for certain purposes, and some websites offer optional templates that you can use. You can use a power of attorney that you drafted yourself as long as it complies with state law. Does a Power of Attorney Require Notarization?